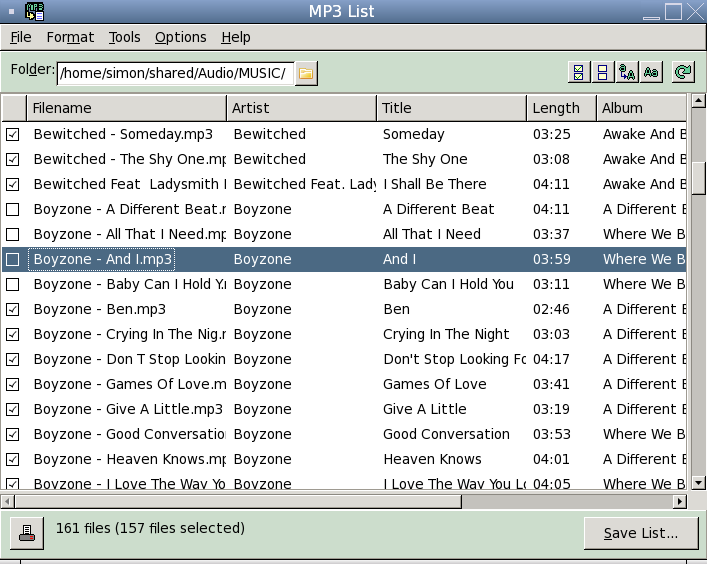 This version of MP3 List is no longer available. 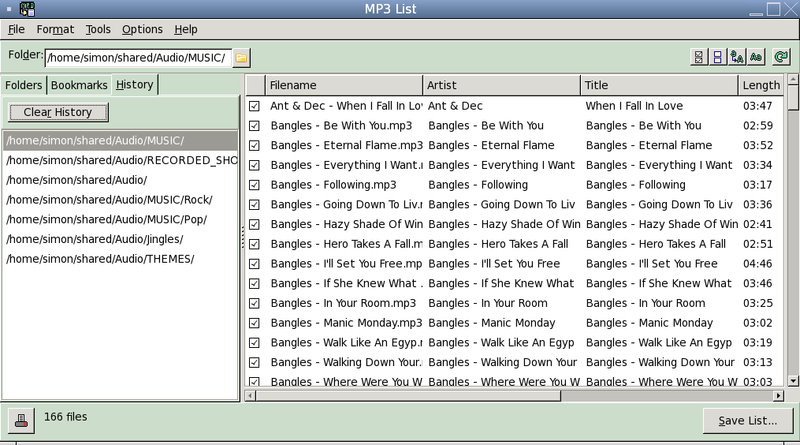 Click here for more info on the latest version of MP3 List! 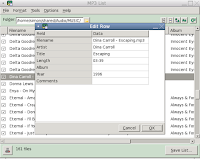 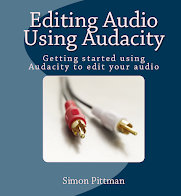 MP3 List helps you save a list of your audio files as a text file or CSV file. 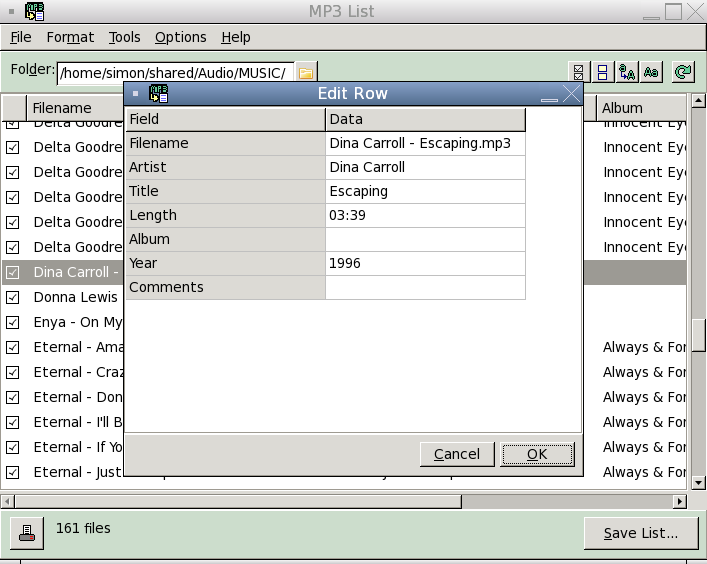 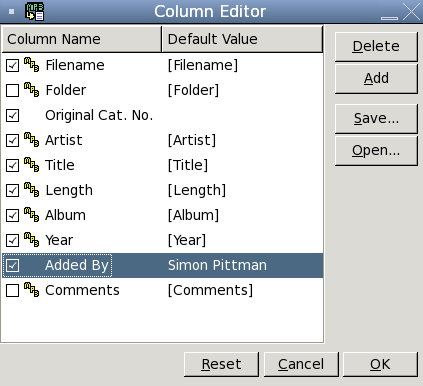 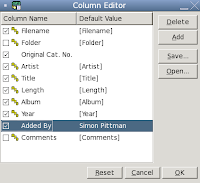 In addition, the software includes options for printing file details, and some file management options. 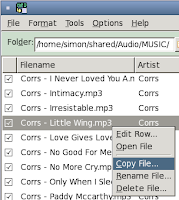 Version 4.1 adds support for WAV and WMA files, access the history of previous folders from the sidebar, optional Genre and File Modified Date/Time columns and various other improvements. 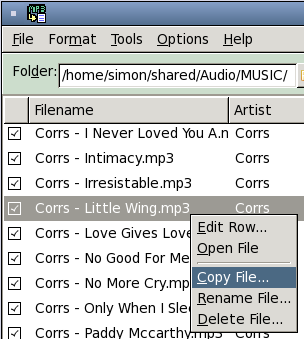 A full can be found in the product documentation.